Linkwood-Salem Volunteer Fire Company, Inc. 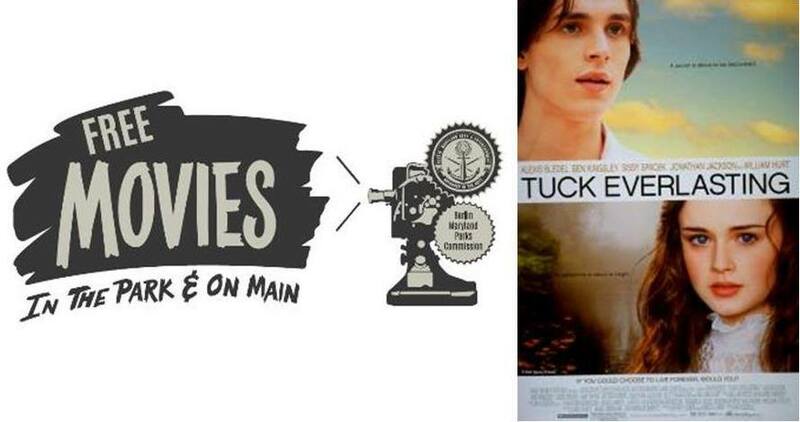 THIS SATURDAY: Outdoor Movie Night-"Tuck Everlasting"
Free family movie night. Downtown at Jefferson St. Bring a chair or blanket and a snack. Alcohol strictly prohibited. Sponsored by Berlin Arts & Entertainment and Berlin Parks Commission. Congressional Baseball Game 2017 LIVE! Don't have C-SPAN, watch it live here on Salisbury News: the Republicans vs. the Democrats in the annual Congressional Baseball Game for charity! Fun Fact: The first Congressional Baseball Game was played in 1909. Fun Fact: 39 to 39 + 1 tied was called in the 9th ining in 1983. Democrats just won 11 to Republicans 2 FINAL. This makes them 40 wins to 39 for GOP. Tonight's attendance is record breaking 24,959. After winning the trophy, the Democrats have given the trophy to Senator Steve Scalise for his office! The Republicans promise to put in there first thing in the AM! Bipartisanship at its finest. Lets carry that into the Capitol and we'll be good! Congratulations to the Democrats on their 40th Win! A special message to the Congressional baseball teams. 12th Annual 5K Run and Fun Walk. Awesome event to benefit the Leukemia & Lymphoma Society and Ben's Red Swings. 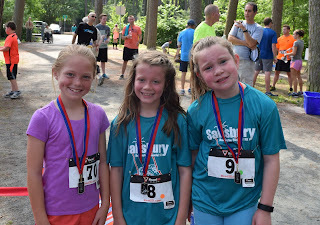 Run thru the Salisbury Zoo and Park then up to the Picnic Island for food & fun while we await the race results and the awards ceremony. 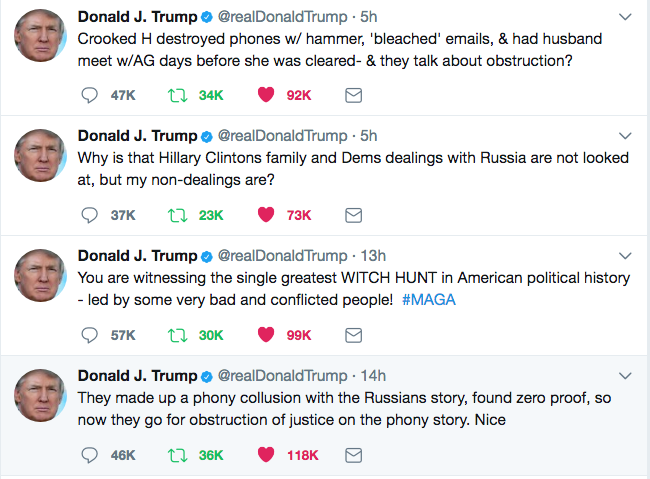 Looks like President Trump is running out of patience now with the whole Special Counsel situation is about to have the Department of Justice run some Special Counselors of his own. Remember during the election when people clamored for Hillary Clinton #LockHerUp? Well, we might just be getting our Christmas wish after all. Fact is, the Senate and House Democrats aren't dealing with a President who caves to Deep State nonsense. He's a tough scrapper from Queens who doesn't suffer fools lightly. Pandora's boxes opening everywhere. We'll just have to see where it all goes. We'll keep you in the Twitter loop as more come available. "We are our beliefs," it is said. Beliefs steer people in life. Some beliefs are harmless, some are the motive force for good, and yet others are delusional, misguided, and even outright dangerous. Every version of the belief called "Islam" ranges from the delusional to the dangerous. Islam is a Grand Hallucination, birthed by Muhammad's hallucination that he relayed to his first wife and employer, Khadija. Greatly frightened, he told Khadija that he was visited bya jinn (devil) in the Hira cave. Khadija comforted the distraught man by assuring him that the episode was Allah's way of choosing him as his messenger. Muhammad believed his rich wife-employer who was 15 years his senior and the hallucination became a belief -- Islam. Remarkably enough, under the early tutelage of Khadija, Muhammad succeeded in attracting a number of influential followers. Before long, the movement gathered more and more power through violent campaigns and the faith was taken to new people and alien lands. This grand hallucination, Islam, presently has in its stranglehold over a billion humans, posing an existential threat to all non-Muslims. FLINT, MI - Michigan Attorney General Bill Schuette has charged five water officials -- including a member of Gov. Rick Snyder's cabinet and a former emergency manager -- with manslaughter related to their alleged failure to act in during the Flint Water Crisis. Michigan Department of Health and Human Services Director Nick Lyon, former Flint Emergency Manager Darnell Earley, former City of Flint Water Department Manager Howard Croft, Michigan Department of Environmental Quality's Drinking Water Chief Liane Shekter-Smith and former district supervisor Stephen Busch will all face involuntary manslaughter charges related to their alleged failure to act in the Flint Water Crisis, Schuette announced in a release on Wednesday, June 14. Involuntary manslaughter is a felony punishable by up to 15 years in prison and/or a $7,500 fine. Virginia Gov. Terry McAuliffe (D) called for more gun control immediately following the shooting of House Majority Whip Steve Scalise (R-LA) at a congressional baseball practice this morning in Alexandria, Va.
McAuliffe then stated that "we lose 93 million Americans a day to gun violence" before correcting the figure to 93 when a reporter pointed out the mis-statement. Terry Mcaullife twice says we lose 93 million a day to gun violence, until reporter corrects him. "That's a big number." "This is a very serious issue," he said, recalling the recent "senseless" murder of a Virginia state trooper. McAuliffe said "there are too many guns on the street" but then said the issue shouldn't be raised today. Narrative: On 13 June 2017 at 11:06 PM a deputy stopped a female subject walking away from an area where the Sheriff’s Office had just received a complaint. During the encounter, this subject attempted to provide different identities to the deputy while displaying overt nervousness. After seeing indications of drug use coupled with this subject’s evasive answers, the deputy began to inquire further regarding her activity. At this point, the subject attempted to flee from the deputy who managed to catch her after a brief foot chase. 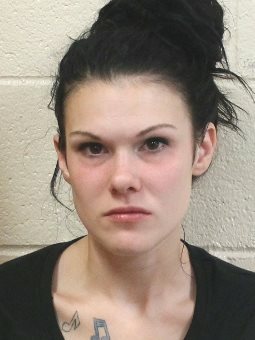 The subject who was subsequently identified as Amanda Faye Travis, was then found to be in possession of heroin. Further search of Travis revealed syringes and a spoon. The deputy placed Travis under arrest and transported her to the Central Booking Unit where she was processed and taken in front of the District Court Commissioner. Following an initial appearance, the Commissioner released Travis on Personal Recognizance. The House voted Tuesday to make it easier for the secretary of Veterans Affairs to fast-track the firing of federal employees for misconduct, sending the bill to the White House where President Donald Trump is expected to sign it into law this week. House Veterans' Affairs Committee Chairman Phil Roe (R., Tenn.) lauded the bill's passage as a "promise kept to our nation's heroes." "The single biggest success in today's passage is that the veterans win," Roe told the Washington Free Beacon in an interview. "The purpose of the VA is to provide care for veterans, and without question your staff is the most important asset here. You have to have a way to terminate people when they aren't performing and this gives the VA secretary the ability to do that while protecting the employee's due process rights." Trump last week called for House members to deliver the VA Accountability and Whistleblower Protection Act to his desk for a signature after the bill sailed through the Senate with bipartisan support. 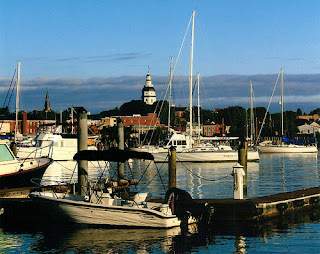 The Maryland Department of Natural Resources is providing $10.5 million in Waterway Improvement Fund grants to improve public boating access and navigation throughout the state. Passed by the Maryland General Assembly and signed by Governor Larry Hogan, this critical funding will go toward 49 projects in 18 counties from Allegany to Worcester. 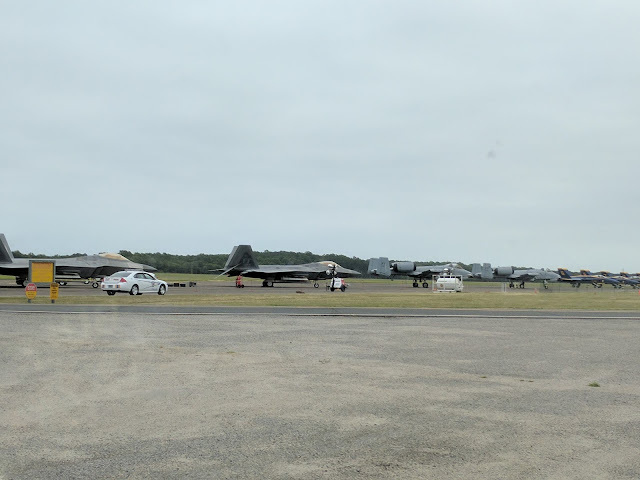 F35's and A10' have arrived at Wallops! HOUSTON, Texas (KTRK) -- We've seen some pretty crazy stuff on Houston highways and this is no exception. 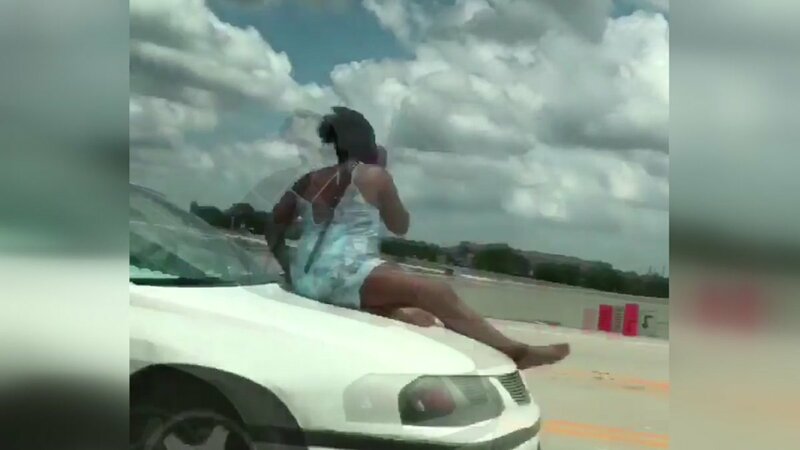 An ABC13 viewer was driving on the Pinemont overpass near Highway 290 when he filmed a woman riding on the hood of a car. Chantal Thompson said she jumped on top of her Chevy Impala out of concern and that it wasn't a stunt. Thompson said it followed a heated argument with the father of her child. She said the father tried stealing her vehicle, so she got on the hood. He then drove off and out of Thompson's apartment complex. "I was scared a little bit because I'm like if he throws on the brakes, I'm going to fly off this car," said Thompson. "I'm not going to go out without no fight because I work too hard for my things. I'm a single mother and I do this by myself.."
A group of Native American and indigenous activists are lobbying the United Nations to outlaw "cultural appropriation" across the globe. Critics of "cultural appropriation" believe that people should not adopt ideas, art, food, clothing, or other elements of cultures they do not belong to. Most recently, pop star Katy Perry apologized for appropriating African-American culture by wearing cornrows and eating watermelon in a music video. A specialized committee within the U.N.'s World Intellectual Property Organization has been considering several draft documents on indigenous appropriation for the past two decades, CBC News reported Tuesday. If passed, international intellectual property regulations would expand to protect "indigenous designs, dances, words, and traditional medicines." On Monday, University of Colorado Law School Dean James Anaya told the committee that the U.N. should "obligate states to create effective criminal and civil enforcement procedures to recognize and prevent the non-consensual taking and illegitimate possession, sale and export of traditional cultural expressions." 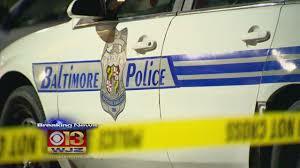 BALTIMORE (WJZ) — The number of murders continues to sky rocket in Baltimore after six people are killed in less than 24 hours. Baltimore is closing in on 160 homicides, not even halfway through the year. Police are beefing up patrols and canvassing neighborhoods. WJZ’s Rick Ritter spoke with some residents who said they’re scared to come forward and go to police because they’re afraid they too could be gunned down. The blood shed is hard to fathom. Six people killed in hours, one of them, Sebastian Dvorak, just turned 27. A tweet claiming that the NBA champion Golden State Warriors would refuse to meet with President Donald Trump at the White House went viral Tuesday, despite presenting zero evidence. Stockbroker and CNBC personality Josh Brown tweeted that the Warriors would skip the White House visit, citing "reports." He said the team made a "unanimous" decision on the issue. When asked which reports he was alluding to, Brown said that he had seen verified Twitter accounts making the claim. But when pressed, he admitted he could not find those tweets again and wondered if they had been deleted. Later, Brown cited a tweet from a self-described "world's top celebrity expert" as evidence. But that tweet was sent at 8:00 a.m. ET while Brown's message was sent at 7:10 a.m. ET, making it impossible for it to have been Brown's source. The article below was published on Salisbury News over two years ago; April 20, 2015. In light of the announcement today it was more than appropriate to take you back on the wayback machine once again.
" before working briefly in politics as a Constituent Liaison for State Senator Jim Mathias. She joined the staff at Poplar Hill Mansion in July of 2013." Also helped get Jim Ireton and Laura Mitchell elected. Helped get Jim Ireton and Laura Mitchell elected. Democrat Friend that also helped Jim on his campaign. Democrat friend who worked on Jim Ireton's campaigns. If you look at the two positions of Administrator and Asst. City Administrator it clearly states that the Asst. City Administrator is no a menial position. It appears the position is responsible for more than what the City Administrator does. The City Administrator reports to the Mayor and is responsible for the daily management and administration of city policies and procedures. The City Administrator prepares the annual city budget, supervises special projects, handles complaints from the public, and advises the Mayor and City Council of any problems or concerns. Under the direction of the City Administrator, the Assistant City Administrator assists in the day-to-day operations of the City of Salisbury government. The Assistant City Administrator coordinates activities of departments; develops and administers policies, programs and projects; serves as the City Administrator’s chief assistant including acting as City Administrator in his/her absence. Additionally, the Assistant City Administrator assists with the development of the annual Capital Improvement Plan and the budget and provides oversight for collaborative partnership organizations for special projects and initiatives. Functioning as Executive Assistant to the Mayor, the Assistant City Administrator also prepares grant applications and may administer grant funded programs. Under the direction of the Mayor’s Office, the PIO performs comprehensive coordination of all social, print, and digital media for the City to include: Production of press releases, public relations media releases, special brochures and similar material. The PIO is also the point of contact for the public regarding City programs and informational requests. Here's what gets me the most. Do you hear the Daily Times, WBOC or WMDT giving Ireton a hard time for hiring INEXPERIENCED people in these type of positions, yet they go after County Executive Culver like there's no tomorrow. You just keeep electing people who aren't qualified and watch your taxes continue to go UP while your property values goo DOWN. 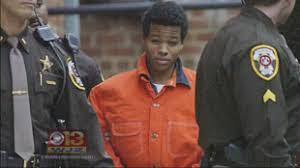 BALTIMORE (WJZ)– A Montgomery County judge will hear arguments of D.C. sniper, Lee Boyd Malvo Thursday, who claims the six life-without-parole terms he received in the County have been rendered illegal by U.S. Supreme Court decisions saying mandatory life-without-parole sentences are unconstitutional for juveniles except in rare cases, according to the Baltimore Sun. Malvo, 32, pleaded guilty in the 2002 sniper attacks that terrorized the Washington area. Malvo was 17 when he took part in the attacks that left 10 people dead and three wounded in Maryland, Virginia and Washington. His accomplice, John Allen Muhammad, was 41 at the time. Muhammad was executed in 2009 in Virginia. Former FBI director James Comey met with the Senate Intelligence Committee in multiple private sessions where he detailed Loretta Lynch's reaction of silence to his evidence from the FBI investigation into Hillary Clinton's private email server. Comey met with the committee multiple times over the last couple months where he detailed an encounter with Lynch, who served as President Barack Obama's Attorney General, shortly before Hillary Clinton's email probe was shut down, Circa reported. Comey told lawmakers in the close door session that he raised his concern with the attorney general that she had created a conflict of interest by meeting with Clinton’s husband, the former President Bill Clinton, on an airport tarmac while the investigation was ongoing. During the conversation, Comey told lawmakers he confronted Lynch with a highly sensitive piece of evidence, a communication between two political figures that suggested Lynch had agreed to put the kibosh on any prosecution of Clinton..
A School Swap initiative has allowed the Howard County Public School System to cut spending for new materials, equipment and furniture, according to continuous improvement specialist Teri Dennison, who said the county has saved an estimated $260,000 over the last three years. Since its debut in the 2014-2015 school year, more than 1,700 items have "swapped" locations, finding a new use at schools or school offices. 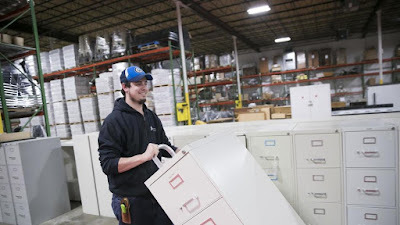 Schools and offices work together to find a space for surplus school resources and furniture, which is available at no cost. 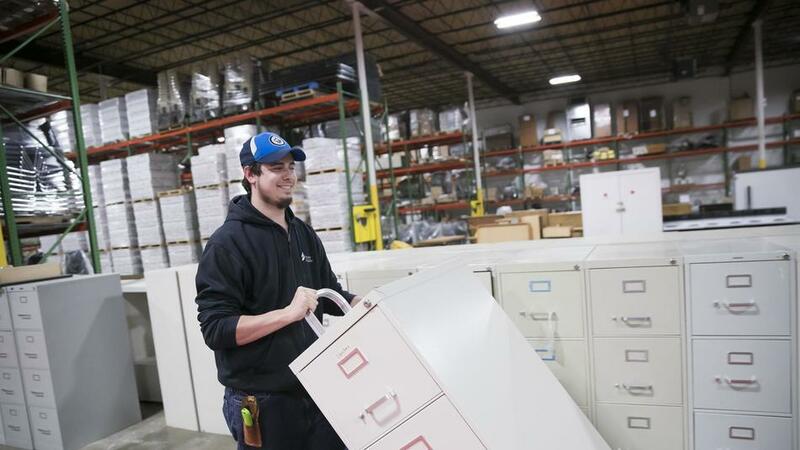 Dennison said she was assigned to program improvements at the logistics center in 2014, when she noticed the school system's warehouse was filled with unused items, including desks, tables, chairs, cabinets and shelving. 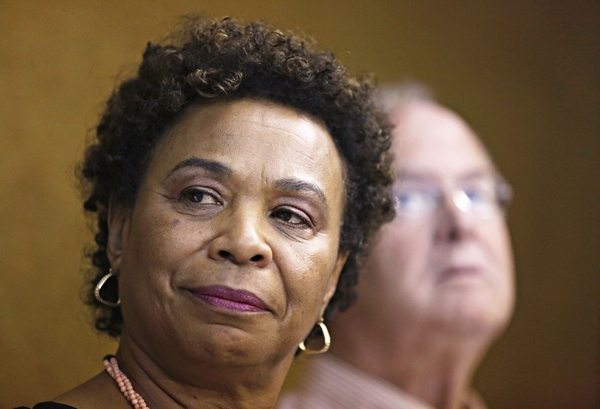 Rep. Barbara Lee (D-CA) said on Tuesday that she does not agree with states’ rights because President Donald Trump believes in restoring states’ authority on a wide range of issues, including education and health care insurance markets. Lee made the remarks at the left-wing Center for American Progress in Washington, DC, where she referenced states rights as it applies to Trump’s decision this month to withdraw the United States from the Paris climate change agreement, a move she claims would hurt the U.S. economy. Moreover, Lee said, California is still committed to fighting global warming. “Pulling out of the Paris Accord is also a job killer,” Lee said. “Because the energy sector — the green sector — coming from California we’re doing a lot of things — I think some other states will follow. “Because the jobs that are being created will be destroyed now as a result of what this president has done,” Lee said. “I don’t agree with states’ rights because that is kind of this administration’s push but in some instances when we have to just go at it on our own — we need to go at it on our own,” Lee said. As Congressman Steve Scalise lie felled by a shooter’s bullet and bleeding on a Virginia baseball field, Congressman Brad Wenstrup, an Iraq War combat surgeon, rushed to the fallen congressman’s side and began treating his wounds right there on the field. Wenstrup, a congressman from Cincinnati, Ohio, provided medical care to Rep. Scalise who was shot in the hip at about 7:15 AM as the GOP baseball team began practice at a field in Alexandria, Virginia, on Wednesday. The Ohio Congressman told the media that Rep. Scalise was conscious and alert as he was trundled off to the hospital. “He was very brave,” Wenstrup said according to WLWT Channel 5 in Cincinnati. House Speaker Paul Ryan (R., Wis.) delivered a speech to the House of Representatives praising the heroism of the Capitol Hill Police and calling for unity across the aisle following the Wednesday shooting at a congressional baseball practice. The attacker, who police identified as James T. Hodgkinson of Belleville, Ill., opened fire at Republican congressmen who were practicing for the bipartisan charity baseball game, wounding five people including House Majority Whip Steve Scalise (R., La.). Ryan said that the House was "horrified" by the attack, and was "praying for those who are attacked and their families." "We are united. We are united in our shock, we are united in our anguish. An attack on one of us is an attack on all of us," Ryan said, receiving a standing ovation. Ryan thanked the first responders and the Alexandria, Va. Police Department, and accentuated his respect for the Capitol Hill Police. Two officers, Special Agents Crystal Griner and David Bailey, were injured in the attack. "And I know this House wants to state unequivocally that we are, as ever, awed by the tremendous bravery of the Capitol police," he said. "It is clear to me, based on various eye witness accounts, that without these two heroes, Agent Bailey and Agent Griner, many lives would have been lost," Ryan said. "There is one image in particular that this House should keep. And that is a photo I saw this morning, of our Democratic colleagues gathered in prayer this morning after hearing the news," said Ryan. "We do not shed our humanity when we enter this chamber.. for all the noise and all the fury, we are one family. " He is the best known martial artist of the last century. And while Bruce Lee has countless movies and demonstrations available for viewing, something we’ve never actually seen is the founder of Jeet Kune Do in a full-on fight. Now, according to Bruce Lee Central, a recently restored video of Bruce Lee fighting one of his top students, Ted Wong, has emerged. Wong was a dedicated student of Lee’s, and never trained in any other styles, eventually going on to become an instructor of Lee’s pure form of Jeet Kune Do. "We do not shed our humanity when we enter this chamber. For all the noise and all the fury, we are one family. These were our brothers and sisters in the line of fire. These were our brothers and sisters who ran into danger and saved countless lives. "So before this House returns to its business, let's just slow down and reflect, to think about how we're all being tested right now, because we are being tested right now. I ask each of you to join me to resolve to come together, to lift each other up, and to show the country, to show the world, that we are one House, the people's House, united in our humanity. It is that humanity which will win the day, and it always will." French Police Refuse To Call It A Hate Crime. French police are refusing to call a self-evidently anti-Jewish attack a hate crime, raising questions about France’s disturbing tolerance of Muslim violence. Indeed, the French media appears complicit in a coordinated campaign to downplay the anti-Semitic hallmarks of an April 4 attack, in which a young Muslim man, praising Allah, threw an elderly Jewish woman out of her apartment window. All evidence points to the fact that Halimi’s brutal murder was motivated by Islamist-inspired anti-Semitism. This was a hate crime against Jews, pure and simple. But French authorities have shied away from labeling the crime as such. “Prosecutors presented a draft indictment against [Traore] for voluntary manslaughter that contains no mention of the aggravated element of a hate crime,” notes The Jerusalem Post. Summer Special Election To Decide Paramedics Bargaining Issue? OCEAN CITY — Ocean City voters could be heading to a special election on the firefighter-paramedics’ collective bargaining referendum as soon as August after a divided City Council this week could not agree on a timetable for the public’s decision on the issue. In March, the Career Firefighter Paramedics Association of Ocean City, or IAFF Local 4269, submitted a petition seeking binding interest arbitration after collecting signatures throughout much of the last year. In April, the town’s Board of Elections confirmed the IAFF’s petition met the required number of signatures of 20 percent of the town’s registered voters. With 6,067 registered voters in Ocean City, the union would have needed 1,213 confirmed signatures and the petition submitted came in at 1,414. The ratified petition presented three options — the town could simply adopt binding arbitration for the IAFF with a charter amendment, the issue could be brought to the town’s electorate in the form of a referendum question in the next municipal election in November 2018 or the town could hold a special election on the referendum question regarding binding arbitration. Paul Craig Roberts Warns "Without Glass-Steagall, America Will Fail"
The enormous increase in the supply of dollars known as Quantitative Easing inflated financial asset prices instead of the consumer price index. This rise in bond and stock prices is a major cause of the worsening income and wealth distribution in the United States. The economic polarization has undercut the image and reality of the US as a land of opportunity and has introduced political and economic instability into the life of the country. These are huge costs and for the benefit only of the rich who were already rich. So, what we can say about the repeal of Glass-Steagall is that it turned a somewhat egalitarian democracy with a large middle class into the One Percent vs. the 99 percent. The repeal resulted in the destruction of the image of the United States as an open prosperous society. The electorate is very much aware of the decline in their economic situation, and this awareness expressed itself in the last presidential election. Dem/MSM Rhetoric Prompts Attempted Murder of Republicans? House Majority Whip Steve Scalise and several others were shot this morning when an assailant opened fire on a baseball practice involving congressional Republicans. All the wounded are recovering. According to Florida Rep. Ron DeSantis, the assailant asked if the group was Republican or Democrat before the assault. North Carolina Rep. Mike Walker declared the assailant was “there to kill as many Republican members as possible.” After almost 10 minutes, during which he fired 50-100 shots, Capitol Police were finally able to subdue the assailant, who later died. Sen. Rand Paul, also present and safe, said, “Everybody probably would have died except for the fact that Capitol Hill police were there.” And the police detail was only there due to Scalise’s presence. James T. Hodgkinson of Illinois has been identified as the perpetrator. Hodgkinson was an unhinged leftist – like a growing number of that ilk. He tweeted on March 22, “Trump is a Traitor. Trump Has Destroyed Our Democracy. It’s Time to Destroy Trump & Co.” His background picture on social media is of Bernie Sanders and he was a Sanders campaign worker and a “99%er.” His profile picture touts the “virtues” of Democratic Socialism. His entire social media profile follows this vein. The Leftmedia may take forever to report it, but his motive is clear. Given the incessant hate-fomenting by the DemoMSM, don’t they bear some blame? Or maybe Kathy Griffin’s beheading Trump “joke” is at fault? Overheated rhetoric can lead to violence — or at least that’s what they told us when Rep. Gabby Giffords was shot in 2011. Predictably, Democrat haters and their DemoMSM propagandists will attempt to blame-shift this attack from their inflamed rhetoric to the need for more “gun control.” It’s part of their perennial efforts to undermine the Second Amendment assurance of Liberty. Exit question: Time to shut down that presidential assassination play? Just two months after witnesses recorded the moment a 69-year-old man was dragged off a United Airlines flight to make room for crew, a new video is threatening to embroil the airline in scandal once again. The nearly three-minute video, obtained by KPRC, shows a United Airlines customer service representative pushing a 71-year-old man to the ground and knocking him unconscious after the elderly man asked a question about his boarding pass. In fact, not a single United employee came to the man's aide. It was only when another passenger, a nurse catching a flight, stopped to help the man that an employee finally called 911 for help. The victim, grandfather and frequent flyer Ronald Tigner, is now suing the airline and the employee who shoved him - Alejandro Anastasia - for negligence. He is seeking more than $1million in damages. The shooter blamed for Wednesday's bloody attack on a Republican congressional baseball team shared a tie with the 2012 gunman who attacked the conservative Family Research Council in Washington. Both were fans of the Southern Poverty Law Center. In the 2012 shooting at FRC that injured a security guard, convicted domestic terrorist Floyd Lee Corkins II said he targeted the group because the Southern Poverty Law Center (SPLC) identified them as a "hate group" due to their traditional marriage views. Residents of Providence were left fearing for their lives on Friday night after the army conducted a special forces training operation in a heavily built-up part of the city. Simulated explosions were heard nearby and helicopters flew so low that their rotor blades chopped off tree branches as locals took to social media to figure out whether their lives were in danger. Risa Gilpin, 68, told the Providence Journal she 'heard this unbelievable noise' at around 9:45pm. 'I was sure that a plane had gone down in South Providence,' she said. OCEAN CITY — A Frederick man was arrested on numerous charges last weekend after fleeing and eluding police during a chase on a rented motor scooter that included a packed Boardwalk on a busy Saturday night. Around 6:40 p.m. last Saturday, an Ocean City Police Department (OCPD) officer was on marked patrol in the area of 18thStreet and Baltimore Avenue when he observed a male later identified as Percy Tolson, 18, of Frederick, riding a rented motor scooter without eye protection or a wind screen. In addition, Tolson was riding the scooter with earphone plugs in both ears. The officer began following Tolson as he traveled north on Baltimore Avenue at a high rate of speed, relative to the speed of a scooter, while passing other vehicles on the roadway. Tolson reportedly made a sharp left turn onto 24th Street without signaling or without any warning in front of other vehicles and the officer following him activated his lights and siren. Below is a perfect example of why civilized political discourse is no longer possible in the United States. 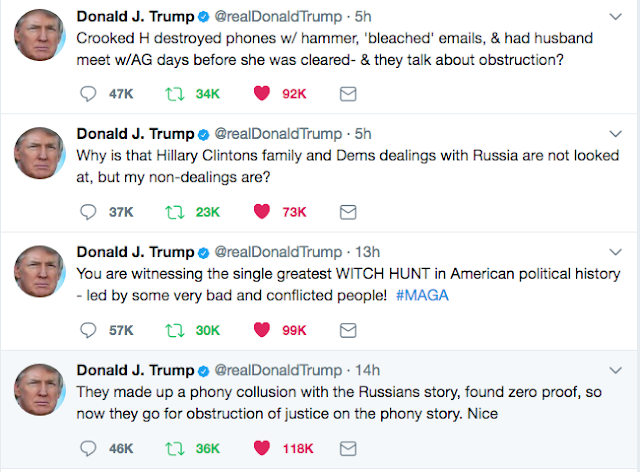 Twice in the past two weeks, first with deputy Attorney General Rod Rosenstein and then again yesterday with Attorney General Jeff Sessions, the freshman Senator from California, Kamala Harris, chose to pursue an aggressive series of questions that many have interpreted simply as an effort to patronize, mock and/or embarrass witnesses before the Senate Intelligence Committee. But the questions asked by Harris, are not the real issue. She has the right, and frankly the obligation, to ask tough and probing questions. The issue is that after asking those tough/probing questions Harris seems to have forgotten that witnesses are supposed to be given an opportunity to respond. Moreover, when witnesses are not allowed to respond, it's the duty of the committee chair, who happens to be Senator Richard Burr (R-NC) in the case of the Senate Intelligence Committee, to maintain order and assure that "questioning" of a witness doesn't morph into "badgering" of a witness. A congresswoman from New York received a threatening email on Wednesday that stated "one down, 216 to go" after a shooting at a baseball practice that targeted Republican lawmakers. The Washington Examiner confirmed Rep. Claudia Tenney, R-N.Y., received the email sometime following the shooting Wednesday morning. "Did you NOT expect this?" continued the email sent to the office of Rep. Tenney. "When you take away ordinary people's very lives in order to pay off the wealthiest among us, your own lives are forfeit. Certainly, your souls and mortality were lost long before." Former President Obama’s political team repeatedly attacked House Republican Whip Steve Scalise as proof that the Republican party was racist, making him a target for leftist hate during their time in office. Scalise reportedly made the comment about Duke nearly 20 years ago, which a reporterremembered and published in January 2015. In 2002, Scalise gave a speech the European-American Unity and Rights Organization (EURO) — a group tied to Duke, a former KKK leader. Scalise apologized for the decision, calling it “a mistake I regret,” after it became public in 2014. But the White House used Scalise as a punching bag, frequently reminding reporters that Republicans blocked both immigration reform and the reauthorization of the Voting Rights Act, and supported allowing the Confederate flag to be placed in military cemeteries, suggesting they were racist. The shooting at a congressional GOP baseball practice is just the latest in an escalating pattern of violence and intimidation against Republicans. James T. Hodgkinson opened fire on GOP lawmakers and staffers with a rifle on Wednesday morning as they prepared for the annual summer baseball game between Republicans and Democrats. The shooter wounded several victims, including House Majority Whip Steve Scalise and a staffer for Texas Rep. Roger Williams, before heroically being taken down by Capitol Police. If not for the attendance of Scalise — whose leadership position comes with a security detail — “it would have been a massacre,” said Kentucky Sen. Rand Paul, who managed to avoid getting shot. One of Virginia Rep. Tom Garrett’s town halls last month featured a heavy police presence after Garrett and his family were targeted by repeated death threats. “This is how we’re going to kill your wife,” read one such message, Garrett told Politico. Rep. Jack Bergman, R-Mich., said Wednesday that the media bear some responsibility for the hateful rhetoric used today that he said was likely a factor in the shooting during the Republicans' congressional baseball game practice. "The hateful rhetoric serves no positive purpose, in fact today it obviously served a negative purpose, but unfortunately, and I'm looking at all the media in the eye when I say this: Friendships and cordial relationships don't make good news," Bergman said on Fox News. "So, I can tell you, especially as president of the freshman class of Republicans, we are united along with our Democratic freshman counterparts to bring civility back to the 115th Congress." When asked if the current state of hateful rhetoric is the media's fault, Bergman responded, "I think the media is complicit if they keep inciting as opposed to informing." If Trump wasn't under investigation before for colluding with Russian spies to steal the election from Hillary Clinton, it seems that he may be now for claims that he intentionally obstructed justice by firing FBI Director James Comey just over a month ago...at least according to more anonymous sources from the Washington Post which have proven themselves to be slightly less than completely 'accurate' several times in the recent past. According to Wapo, this new revelation marks a "major turning point" in the investigation of the Trump administration and will get underway with interviews of numerous "senior intelligence officials" as early as this week. Rep. Steve King, R-Iowa, on Wednesday blamed violence from "the Left" for the baseball practice shooting in Alexandria, Virginia. "America has been divided," King said at the scene of the crime Wednesday morning, according to the Washington Post. "And the center of America is disappearing, and the violence is appearing in the streets, and it's coming from the Left." Republican lawmakers said Hodgkinson asked whether Republicans or Democrats were practicing on the field early Wednesday morning, and opened fire a few minutes after being told they were Republicans. 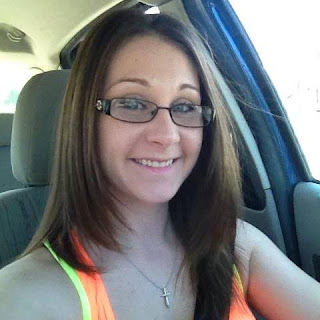 Wendi Kaye Hill, 29 years old, lost her battle with Heroin addiction on 6-12-2017. Born: Memphis, TN, Resided in Willards Md. A 2006 Graduate of Stephen Decatur High School. She is survived by Her Mother, Cathy Azbell and step father Butch Azbell, Her sister Loren Bradford and her husband Matt, Her uncle Rob Azbell, Her father John Hill, Her Grandfather James McCaulla, Uncle and Aunt Mike and Pam McCaulla, Her three cousins Kelly, Kristy and Katy. Also surviving is her beautiful 6 month old son Mason James King, Mason’s Father, Wayne King Junior, Mason’s Uncle, Kevin King. Mason’s Grandparents, Penny and Wayne King Senior. Uncle Clyde and Aunt Lisa Hill and their daughters; Candy, Chrissy, Amanda, and Michelle. Proceeded in death by Grandmother Betty McCaulla and her cousin Amie Hill. Memorial services to be held at Friendship United Methodist Church in Berlin, MD at 2pm Saturday, 17 June, 2017 with Rev. Paul Klaverweiden officiating. In Lieu of flowers, we are asking that donations be sent to Hudson Health Services a non-profit treatment center. Mail donations C/O Kennedy Hinman, Hudson Health Services, PO Box 1096, Salisbury, MD 21802. Make checks payable to Hudson Health Services with Wendi Hill Memorial in the memo. Funeral arrangements are in the care of Holloway Funeral Home, PA, 501 Snow Hill Road, Salisbury, MD 21804. Please visit www.hollowayfh.com to express condolences to the family. The explosion of violence against conservatives across the country is being intentionally ginned up by Democrats, reporters, TV hosts, late-night comedians and celebrities, who compete with one another to come up with the most vile epithets for Trump and his supporters. They go right up to the line, trying not to cross it, by, for example, vamping with a realistic photo of a decapitated Trump or calling the president a “piece of s—” while hosting a show on CNN. The media are orchestrating a bloodless coup, but they’re perfectly content to have their low-IQ shock troops pursue a bloody coup. This week, one of the left’s foot soldiers gunned down Republican members of Congress and their staff while they were playing baseball in Virginia. Democratic Socialist James Hodgkinson was prevented from committing a mass murder only by the happenstance of a member of the Republican leadership being there, along with his 24-hour Capitol Police protection. BALTIMORE (WJZ) — Baltimore sees multiple deadly shootings in just a matter of hours. It was a burst of violence that forced the commissioner to make a drastic move today. All uniformed officers will be on mandatory 12-hour shifts, as the city hustles to control the crime. Ava-joye Burnett reports the violence spilled over from the night into broad daylight today. After a violent night, the police department announced a plan on how to address this problem, as the Police Commissioner was angered by the violence. The violence in Baltimore started Monday evening and lasted through the night. It spilled over into the middle of Tuesday and by the end of it all, at least 12 people had been shot and at least six dead. On 6/14/2017 the Maryland State Police and U.S. Marshals Fugitive Task Force were requested by the Baltimore County Police Department to assist with locating fugitive Richard Sterling Sr. (D.O.B. 12/21/1969) BCPD detectives advised that Sterling Sr. was wanted for Kidnapping, Assault 1st and 2nd Degree, Robbery, and Theft. The incident allegedly occurred earlier that morning where Sterling Sr. stabbed his ex-girlfriend in Baltimore County and then fled to Crisfield, MD. Later, at approximately 6:10 p.m. the Maryland State Police and U.S. Marshals responded to 230 Somers Cove in Crisfield, Somerset County, Maryland where they attempted to take Sterling Sr. into custody. Sterling Sr. barricaded himself inside the apartment on the second floor and told Investigators that he had a knife and was going to kill himself or anyone who came upstairs. After several hours of negotiations, Sterling Sr. exited his residence holding a fixed blade knife which he refused to drop as requested by law enforcement personnel on scene. 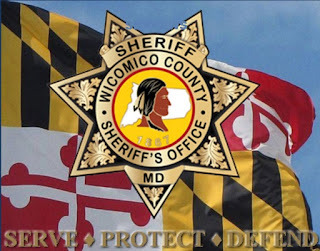 The Wicomico County Sheriff’s office SWAT team was on scene and deployed less lethal tactics which caused Sterling to comply with orders, and drop the knife. At approximately 2042 hours, Sterling Sr. was taken into custody without further incident. Currently Sterling Sr. is being held without bond at the Wicomico County Detention Center. Hillary Clinton has mastered the art of capitalizing on other people’s achievements and popular social trends in an attempt to keep herself relevant. On Tuesday, she was glomming on to Wonder Woman. In a “surprise video” Wednesday in honor of Elizabeth Banks – a Clinton backer, activist and producer – that was shown at the Women in Film Crystal + Lucy Awards in Beverly Hills, Clinton spent much of her 95-second message likening herself to the woman superhero taking the box office by storm, according to the Hollywood Reporter. Clinton thanked Women in Film for supporting women in the industry, then quickly shifted the focus to herself. Eventually, she got around to Banks..
Republican Representative Barry Loudermilk is calling for lawmakers to be able to conceal carry firearms in the nation’s capitol following Wednesday’s shooting at a congressional baseball practice in Alexandria, Virginia. The shooter, 66-year-old James T. Hodgkinson, a vocal progressive activist, opened fire with a rifle on GOP members before wounding House Majority Whip Steve Scalise and four others. President Donald Trump announced shortly after that Hodgkinson, who was shot by police responding to the incident, died after being taken to the hospital. Hours after James T. Hodgkinson, 66, targeted Republican Members of Congress practicing for a charity baseball game, in a shooting that left Rep. Steve Scalise (R-IA) and three members of the Capitol Hill Police severely wounded, House Speaker Nancy Pelosi took the House floor. “I pray for Donald Trump, that his presidency will be successful and that his family will be safe,” Pelosi said of President Donald Trump. “I have been probably the target of more, political target of probably more threats than anyone perhaps other than the President of the United States Barack Obama. 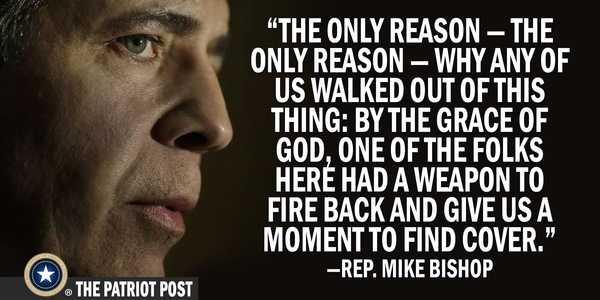 And so I pray for Barack Obama, and now I continue to pray for him,” Pelosi said. “And I pray for Donald Trump, that his presidency will be successful and that his family will be safe,” she said. "When this team was on the field practicing with such brotherhood — I don’t know if you have any sisters on your team; we have two on our team — for this person to take this action was so cowardly, so cowardly. We cannot let that be a victory for the assailant or anyone who would think that way. We will use this occasion as one that brings us together and not separates us further." “There is no collusion with this administration and Russia, so we can drop the independent counsel, special counsel, there is no further need and now that we have collusion between Comey and Mueller, before he testified, also ran things by other people in the justice department when they did their memo. so much collusion,” Gohmert said. Nicole Singley and her wife Jennifer had been married for more than a year when their son was born in Indiana in 2015. Jennifer had carried the boy, conceived through artificial insemination, and Nicole was there to cut the umbilical cord. But the next day, while holding their son in the hospital, they were told that only Jennifer’s name would appear on the baby’s birth certificate. Two years later, the couple is expecting another child, this time a daughter carried by Nicole, and they are still pushing the state to allow both members of married gay couples to be listed on birth certificates the day their baby is born. The course the state recommends in cases like these: adoption. In other states, the law has been on the Singleys’ side. State “presumption of parentage” laws, which allow hospitals to list a woman’s husband as the father of her child on a birth certificate — even if paternity hasn’t been medically established — have largely been extended to married lesbian couples after the U.S. Supreme Court’s 2015 decision in Obergefell v. Hodges, which legalized gay marriage in all 50 states. Many states did so voluntarily, while courts settled the issue in others, including Florida and South Carolina. Comey admitted single Trump leak, but were there others? President Trump’s legal team may be prepared to show a trail of leaks to The New York Times by former FBI Director James Comey – dating back to at least March – in a pair of complaints set to be filed to the Justice Department inspector general and Senate Judiciary Committee, a source close to the team told Fox News. An independent Fox News review of The New York Times’ reporting dating back to January reveals a host of stories sourced from top FBI and DOJ officials – or those privy to their conversations – that either paint Comey in a positive light or push a message he was unable to personally disclose. Though Comey told the Senate Judiciary Committee on May 3 he’d never been -- or directed another FBI official to be -- an anonymous source for news reports about the Trump and Hillary Clinton investigations, the then-FBI chief did not deny orchestrating leaks using, for instance, an old friend who works at Columbia University, or providing the information to a wide enough group to ensure it would leak. Democrats new "alternative fact" ... 93M Americans killed by guns every day! Gingrich Questions Special Counsel's Impartiality - "Republicans Are Delusional...Look Who He Is Hiring"
Since his appointment by Deputy Attorney General Rod Rosenstein, Special Counsel Robert Mueller has enjoyed fairly bipartisan praise in Washington D.C. for his apparent impartiality. "Republicans are delusional if they think the special counsel is going to be fair. Look who he is hiring.check fec reports. Time to rethink." As The Hill notes, several of Mueller's early, notable hires have all been contributors to Hillary's and/or Obama's previous campaigns. GEORGETOWN, Del. – Delmarva Poultry Industry, Inc. (DPI) has hired Holly Porter as its assistant executive director. Mrs. Porter’s responsibilities for the non-profit trade association working for the Delmarva Peninsula’s chicken industry will include membership development and promotion, assisting the Communications Manager on outreach programs, expanding the association’s public affairs work, serving as liaison with other poultry and agricultural associations, working with the Executive Director on event and meeting planning and implementation, and assisting the Executive Director with all aspects of organization management and policy implementation. Mrs. Porter comes to DPI from the Delaware Department of Agriculture, where she was a deputy principal assistant in the Office of the Secretary. 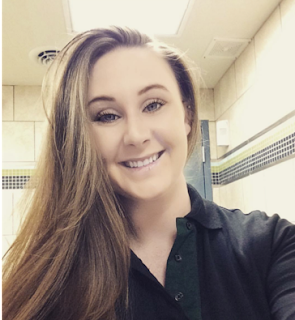 Previously, she was a marketing specialist for the Delaware Department of Agriculture and also worked in marketing for MidAtlantic Farm Credit. 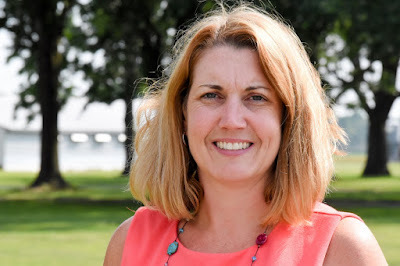 She has served as the co-director of the LEADelaware program, as a committee member of the MidAtlantic Women in Agriculture Conference and as an advisory council member to the Northeast Sustainable Agriculture Research & Education program. Mrs. Porter grew up on a grain farm on Maryland’s Eastern Shore, and earned a degree from Marymount University. She and her family make their home in Caroline County, Md. 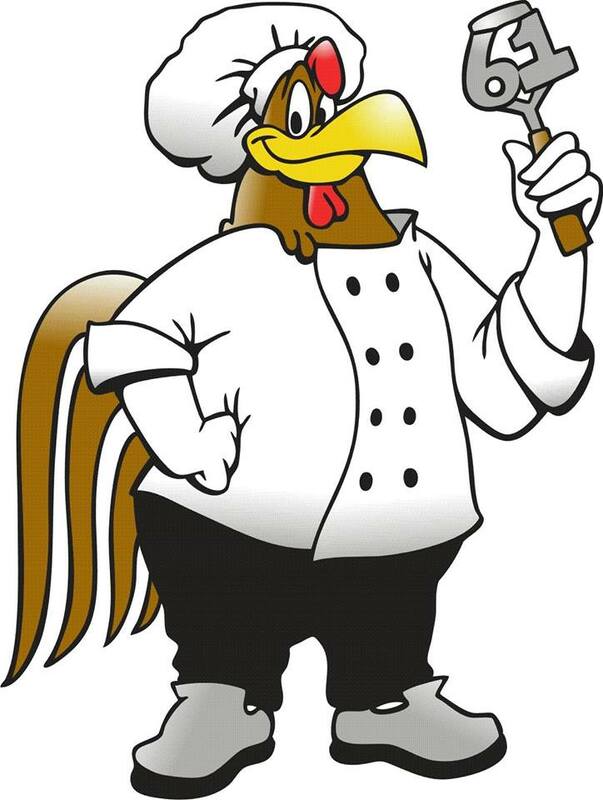 Delmarva Poultry Industry, Inc. (DPI) is the 1,800-member, non-profit trade association for the Delmarva Peninsula’s chicken industry. Visit us atdpichicken.org, find us at facebook.com/dpichicken, or follow us on Twitter @dpichicken. ANNAPOLIS, MD — The Maryland Department of Health and Mental Hygiene recently announced that Dr. Howard Haft, the agency’s Deputy Secretary for Public Health, issued a new statewide standing order that allows pharmacies to dispense naloxone, the non-addictive lifesaving drug that can reverse an opioid overdose, to all Maryland citizens. The order follows legislation passed by the Maryland General Assembly and signed into law by Governor Larry Hogan that included a Hogan administration proposal to enable all citizens to access naloxone. Previously, naloxone was available only to those trained and certified under the Maryland Overdose Response Program. The Heroin and Opioid Prevention Effort (HOPE) and Treatment Act, a bipartisan omnibus bill passed during the 2017 legislative session that contains provisions to improve patient education and increase treatment services, included the Hogan administration’s proposed Overdose Prevention Act. This updated standing order resulting from the new law further eliminates barriers to naloxone access for anyone who may be at risk of opioid overdose or in a position to assist someone experiencing an opioid overdose. Single doses of naloxone, also known by the brand name Narcan, have been demonstrated as effective in reversing a heroin overdose. However, more potent drugs such as fentanyl tend to require multiple doses to reverse an overdose. Emergency services—calling 911 or taking someone to a hospital’s emergency department—should always be sought in an overdose situation. The Department of Health and Mental Hygiene's 2016 Drug-and Alcohol-Related Intoxication Deaths in Maryland Report, released earlier this month, revealed that 2,089 individuals died from overdoses last year, a 66 percent increase from 2015’s data. For more information on opioid overdose recognition and response, click here. In March, Governor Hogan declared a State of Emergency in response to the heroin and opioid crisis ravaging communities in Maryland and across the country. This declaration activated the governor’s emergency management authority and enables increased and more rapid coordination between the state and local jurisdictions. The Opioid Operational Command Center, established by Governor Hogan in January through an Executive Order, facilitates collaboration between state and local public health, human services, education, and public safety entities to combat the heroin and opioid crisis and its effects on Maryland communities. Before It’s Too Late is the state’s effort to bring awareness to this epidemic—and to mobilize resources for effective prevention, treatment, and recovery. Marylanders grappling with a substance use disorder can find help at BeforeItsTooLateMD.org and 1-800-422-0009, the state crisis hotline.